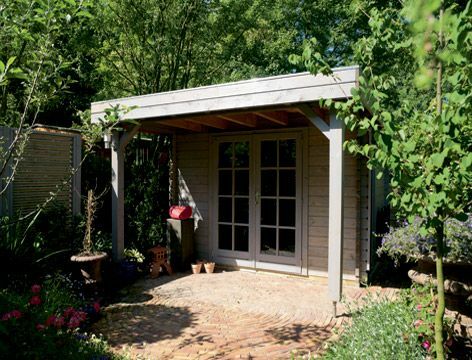 The Aberdeen log cabin has a lovely large canopy at the front providing a wonderful shady area in the Summer months or shelter when the weather's not so great. A double door allows easy access to the cabin. 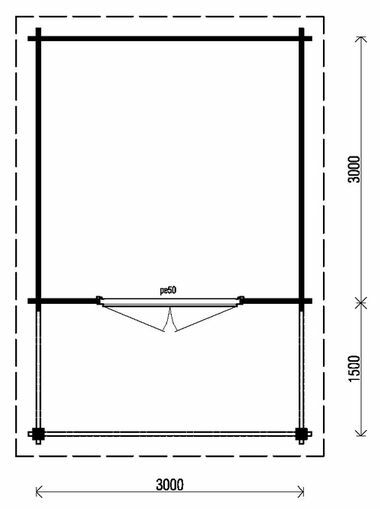 Size approximately 3m x 4.5m in 44mm log thickness. The standard package includes 1 double door PE50H. The posts measure 12 x 12 cm. The Aberdeen canopy measures approx 3m x 1.5m.